This lecture presents detailed information on the topic Lung Cancer. Section one of the following lecture elaborates on Epidemiology and Risk Factors of Lung Cancer. 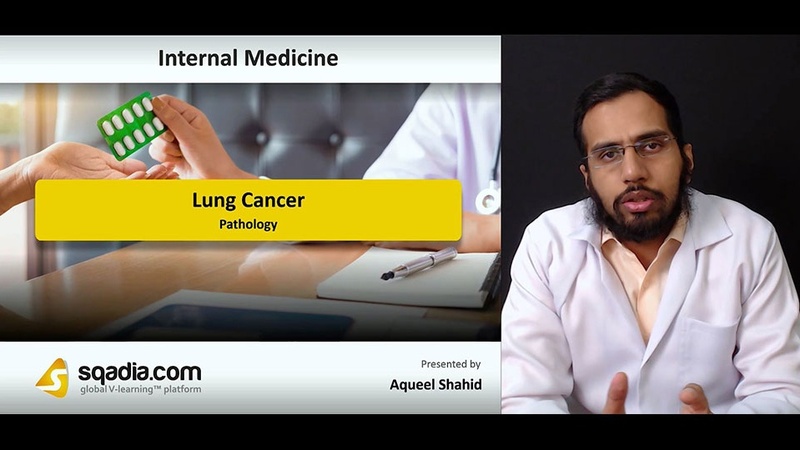 In section two, the Pathology of Lung Cancer is explained. Section three is about the Early Detection and Diagnosis of Lung Cancer. Section four is regarding the Treatment of Non-Small Cell Carcinoma. The prime focus of section five is the Treatment of Small Cell Carcinoma. The educator starts off with the explanation of Epidemiology. Afterwards, the concept of role of Smoking in causation of Lung Cancer is clarified followed by an elucidation of Inherited Predisposition. After a comprehensive overview of Pathology, the educator sheds light on Non-Small Cell Carcinoma and Small Cell carcinoma. Subsequently, the topic of Immunohistochemistry is brought under consideration in addition to the demonstration of Molecular Pathogenesis. The educator begins by providing a brief overview of Screening and Early Detection. 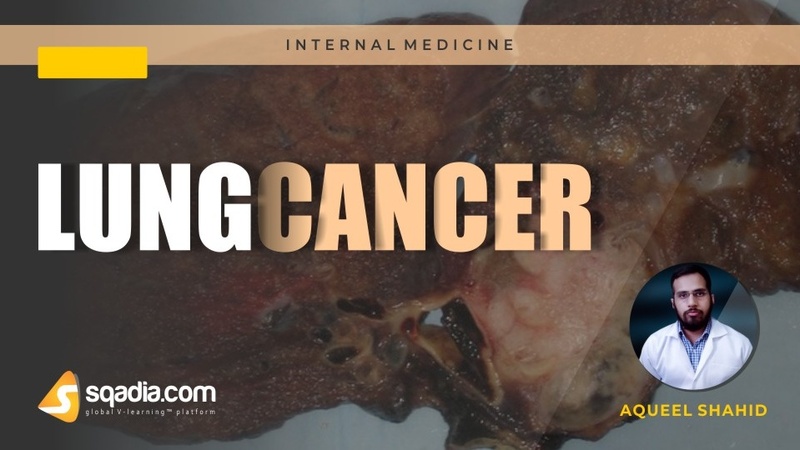 After this, a detailed demonstration of Clinical Manifestations of Lung Cancer is put forward followed by an extensive elucidation of its Diagnosis. The educator then peculiarly addresses the Staging of Small Cell Lung Cancer and Staging of Non-Small Cell Lung Cancer. At the end of this section, the educator highlights the whole process of Staging in general. In the start, a thorough overview of Single Pulmonary Nodule is presented. Following this, there is a detailed demonstration and explanation of Stage I and II, Stage III and Stage IV of Non-Small Cell Carcinoma. The educator deals with a thorough elucidation of Chemotherapy and then moves forward to shed light on Radiotherapy. At the end of this section, the educator highlights Prophylactic Cranial Irradiation.